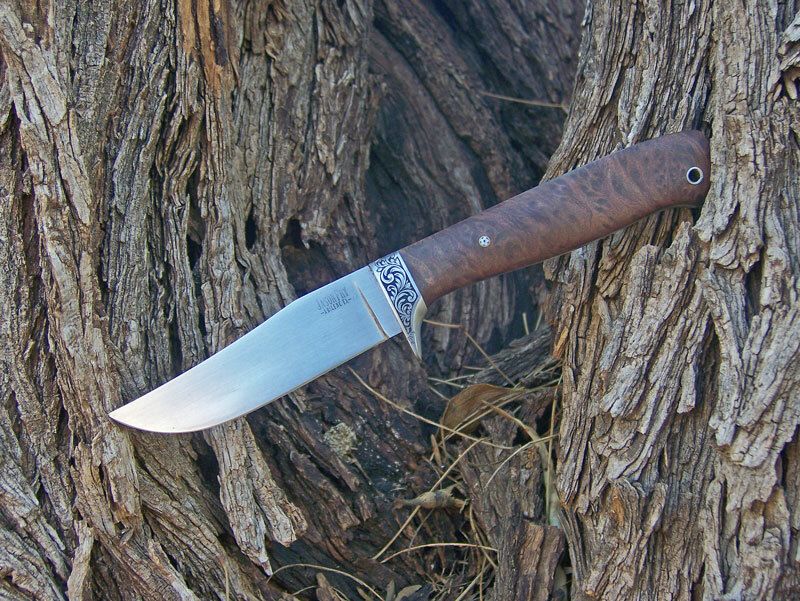 This knife is a one-off small clip point pattern with a CM154 stainless blade and a 416 stainless slotted guard. 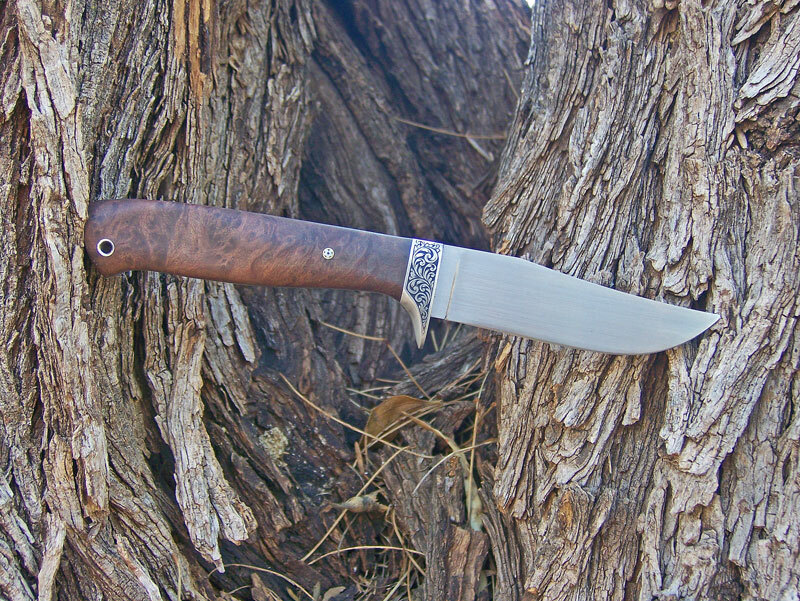 Handle material is stabilized redwood burl. The guard was engraved by Paul Markow of Georgia. OAL is 7 9/16 with a 3 7/16 blade. 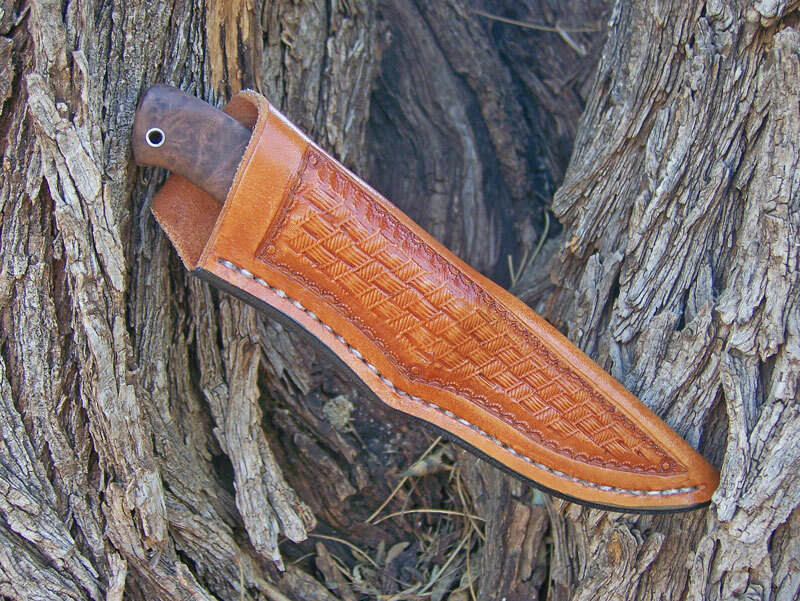 Right handed tooled sheath. 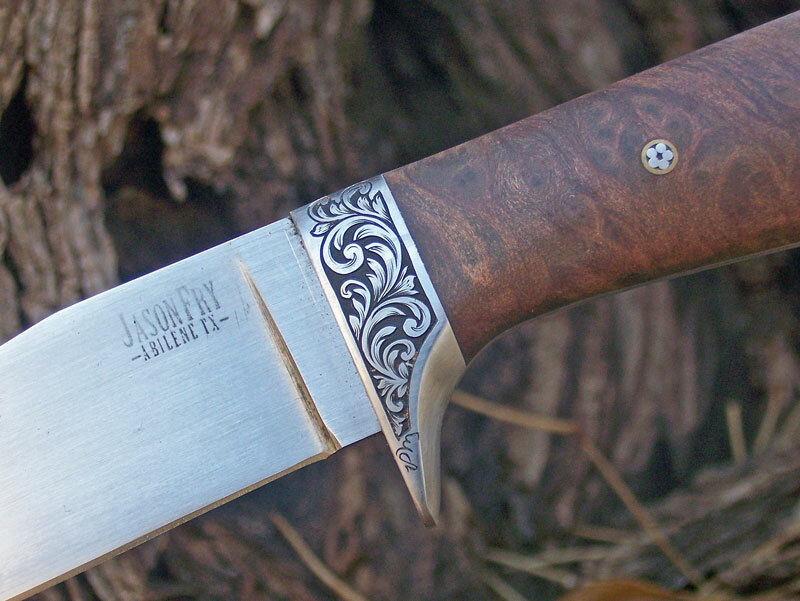 As of 4/16/14, this knife is available. Price is $350.